Hi this is Terri Borman child care provider and author of children’s book “Shapes Go to School” is beautifully illustrated and teaches children about shapes and colors. To order your copy, click on the book and it will take you to Amazon.com! I love writing about things related to children and this week I am writing about the new Facebook feature that is currently under testing. If the new feature rolls out, it could affect privacy of its users young and old. The latest version of Facebook for iOS and Android will automatically be able to recognize the song you’re listening to or the television show you’re watching and then automatically add it to your status. This feature is called audio recognition and it turns on your microphone and starts listening as soon as you start typing a new status. There is no need to type “Listening To” or “Watching” in the status creating screen. When there is a match, a small smiley face badge pops up over Facebook’s feelings button. You can opt in to this feature for the first time by tapping a new button inside the status window. There is no opt-out once you opt-in. This latest feature update makes total sense for those Facebook users who love to post what they are listening to or watching. This feature will automatically post links to TV shows or movie pages and appear in statuses which used to be just plain text. Also, previews from Spotify, Rdio, and Deezer will appear when a song is recognized. Right now it can only recognize around 150 US television shows and several million songs, far behind Shazam, but Shazam employs hundreds of people to do just this. 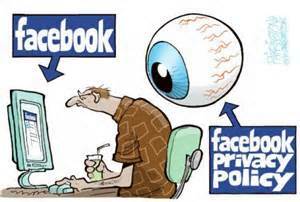 Well we don’t need to be concerned about Big Brother peeking in on our Facebook audio logs or do we? 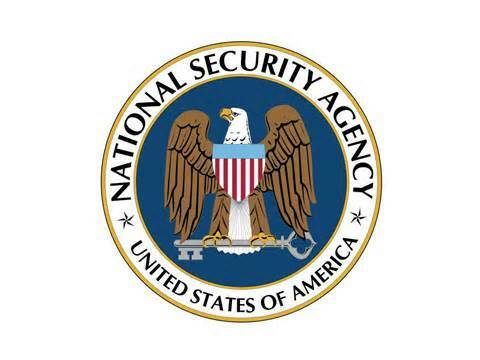 The NSA can record telephone conversations for an entire country for 30 days at a time! Facebook knows where you live, where you work, all your contact information, all your friends, what your political views are, and even who you are with. Now with this latest version they will learn even more about you! I’m sure they will be delivering a “privacy update” by the little blue dinosaur shortly. 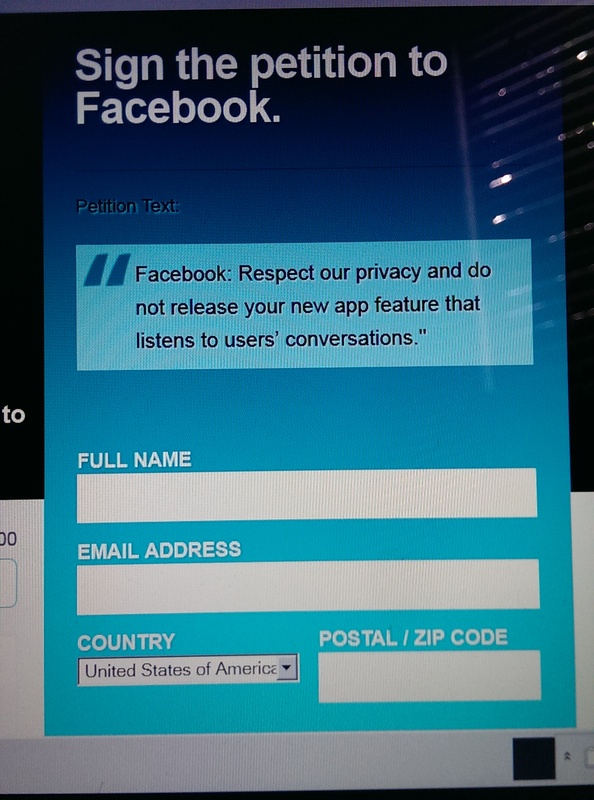 There is a petition against this new feature which has almost 600,000 signatures. So do your due diligence and if you are against this latest feature, speak up. 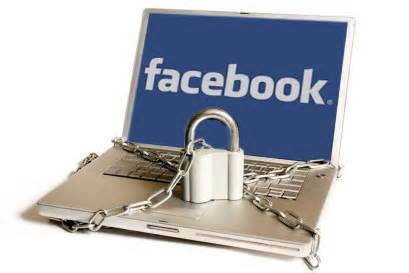 For more information you can watch news channel, KRON4.com, broadcast about this latest version of Facebook dated June 4, 2014. This entry was posted in Uncategorized and tagged audio recognition, big brother, children, Facebook, NSA, privacy on June 8, 2014 by terriborman.